Android Wear 2.0 brings new perks, but can it really compete with an Apple Watch? Editor's note: This article originally ran in May 2016, but was updated in July 2017 to include info on Android Wear 2.0 and the latest Android Wear watches. Apple built the Apple Watch to coexist with your iPhone, and they’re a near-perfect pair if you want a connected device on your wrist. However, it’s not the only smartwatch out there for iPhone owners. The dearly departed Pebble watches are compatible, as is the Samsung Gear S3 and S2—and yes, even Google’s Android Wear watches work with your iPhone. It’s true! 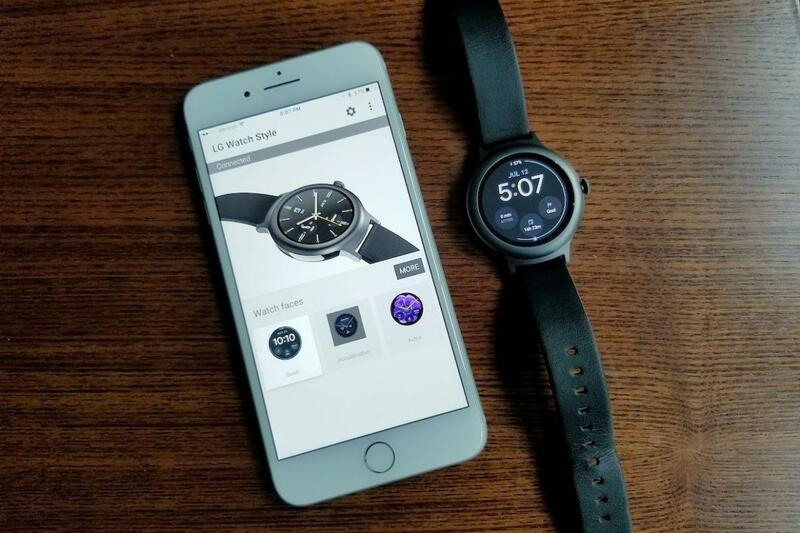 Google first rolled out iPhone compatibility in late 2015, back when Android Wear was still in its first incarnation, and several watches gained functionality when used with Apple’s phone. When we first wrote this article in 2016, it became clear that a lot of you were curious about Google’s alternative watches, and whether they were worth using with an iPhone. What a difference a year makes. Android Wear has been updated to 2.0, and along with the version upgrade came a couple of big new features for iPhone owners—and there are several new watches available that support it. But the old v1 watches still work too, albeit with less functionality. And now that the Apple Watch Series 2 is out, with the first-gen watches sold for less, the value comparison has certainly changed as well. Looking for a different kind of watch to pair with your iPhone? Here’s a look at what Android Wear offers for iPhone owners, which watches are available, and what kind of functionality you gain or lose as opposed to wielding an Apple Watch instead. Android Wear is Google’s smartwatch platform, but while Google makes the core software that all of the watches run, the company doesn’t manufacture any of its own watches. That used to be Google’s approach to smartphones, as well, although last year’s Pixel and Pixel XL marked the first Google-branded phones. Still, there’s no “one” or “flagship” Android Wear watch as of this writing. Android Wear 2.0 improves the interface while adding some new features. In fact, since the first models came out in June 2014, more than 30 watches have been released from various manufacturers, including Motorola, Samsung, Sony, LG, Huawei, and Asus. The array of different makers means that every Android Wear watch is unique in look and materials, unlike the Apple Watch, and some offer larger batteries or include GPS, an NFC chip, or even standalone 4G LTE functionality—so there’s more flexibility, too. However, since they all run the same Android Wear platform, all of the watches essentially act about the same in terms of software, at least when running the latest version. 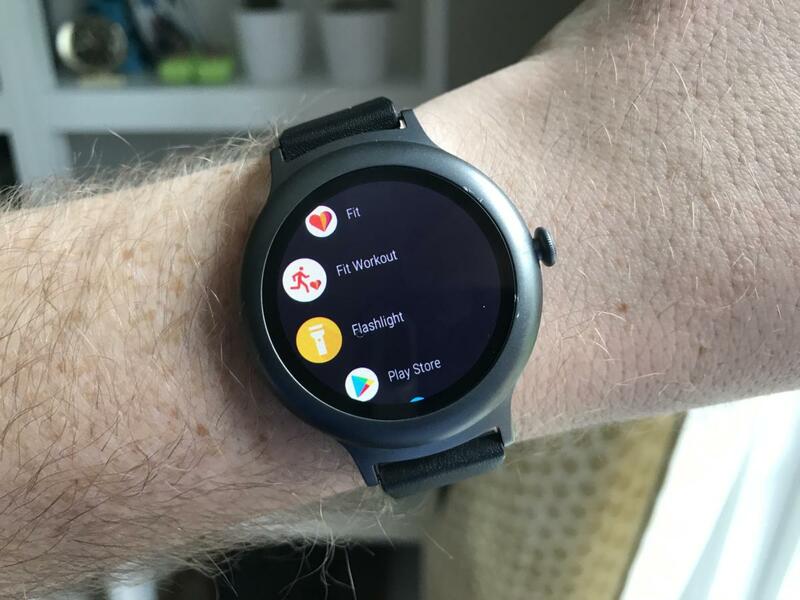 Nearly all Android Wear watches are dependent on your phone for connectivity, although apps can run natively on the watch and you can, say, listen to music via Bluetooth headphones without needing your phone. As mentioned before, a few Android Wear watches offer 4G connectivity for phone-free calls and notifications. Nearly all of the Android Wear watches released within the last two years are compatible with an iPhone running iOS 9.0 or newer. Google lists 20 different watches that have assured iOS functionality, although most of the older, first-wave Android Wear devices aren’t listed. 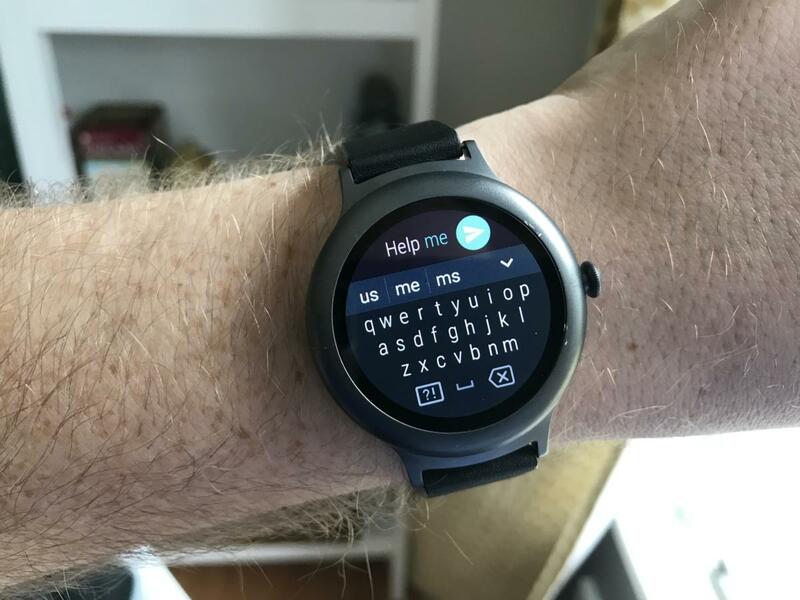 The first-gen Motorola Moto 360 and LG G Watch aren’t listed as compatible—and yet the G Watch worked fine for me when I tested it, albeit using an older OS version. What’s so appealing about Android Wear is the sheer variety of looks and styles. Google makes the software, but all of the manufacturers are free to design the watches as they please, right down to the size and shape of the screen. There are sports watches and fashion watches, for example, as well as budget and luxury options. But that also means that there may be inconsistencies in features, such as watches lacking NFC for mobile payments, a heart rate sensor, or 4G capabilities. The LG Watch Sport and Watch Style are the current headline devices. However, not every watch runs Android Wear 2.0, which adds extra functionality for iOS users. Still, there are a fair number of 2.0 devices now. The LG Watch Sport ($350) and LG Watch Style ($250) were the big new hardware releases alongside Android Wear 2.0, although our sister site Greenbot wasn’t hugely impressed with either (click the respective links for their reviews). I’ve been using the LG Watch Style for this article, and I agree that it feels cheap and flimsy—and the battery life is dismal if you enable the always-on display. There’s the sporty Casio Pro Trek WSD-F20 ($500) or the cheaper New Balance RunIQ ($300), as well as a handful of Fossil Q styles that usually start at $255, but as of this writing are priced from $153 at Fossil’s official online shop. Michael Kors has a handful of watches that scale up to $350 for sleek, stainless steel varieties, although sportier watches are going for $200 now. And if you want something super-luxury, the Montblanc Summit starts at an eye-popping $890. 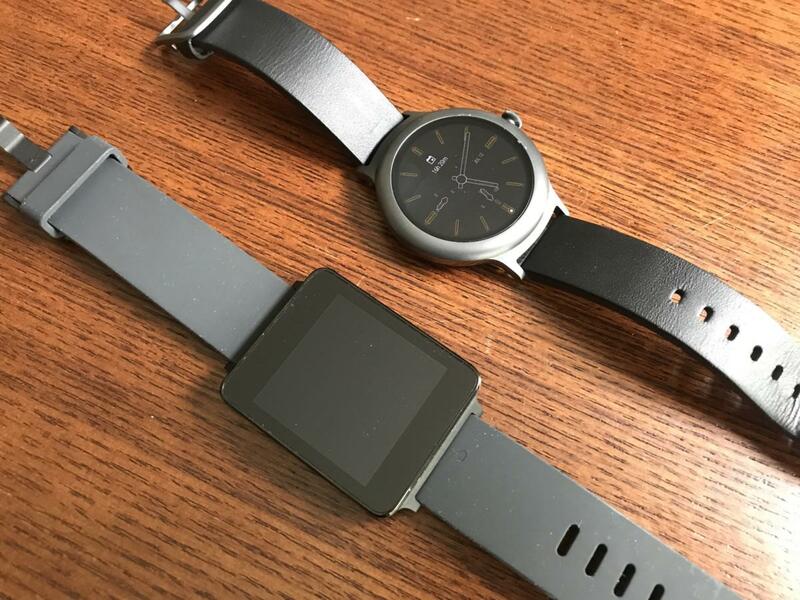 The LG Watch Style (top) is quite different from 2014’s LG G Watch. That’s not even the full array of Wear 2.0 watches, so I’d recommend starting with Google’s official Android Wear site and seeing what catches your eye. Also, there’s more on the horizon, including watches from Movado, Tommy Hilfiger, and Hugo Boss, as well as more Michael Kors and Fossil Q varieties, the Diesel On, and a pair of Louis Vuitton watches starting at $2,450. With Google’s standardized software platform, lots of fashion brands are making the leap into smartwatches. It’s a pretty easy process, actually. 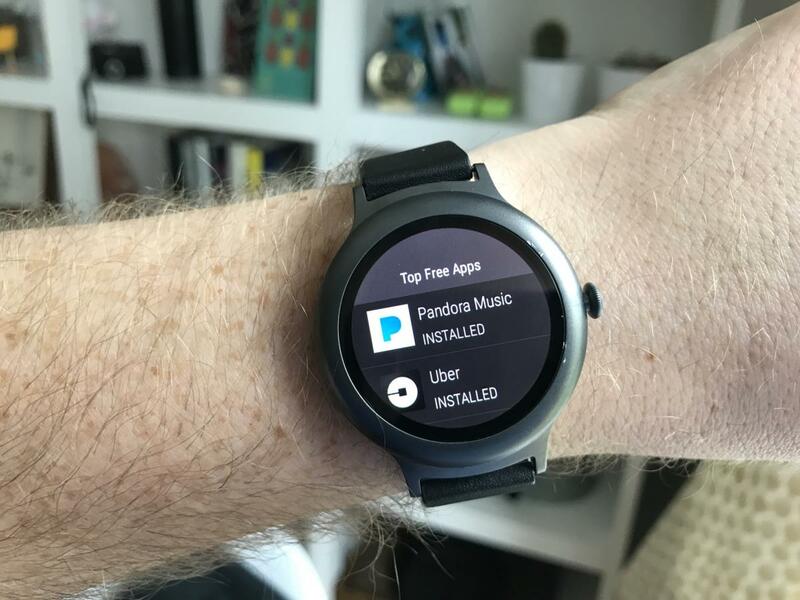 Google has an Android Wear app available from the iOS App Store, and once that’s installed on your phone, you can pair the device through there. You’ll match the code shown on your watch to the one seen in the app, and then it’ll complete setup pretty quickly. Just follow the instructions and you should be set. The Android Wear app serves as your on-phone control panel. The Android Wear app can be used to manage your watch on a larger screen with more comfortable navigation, letting you flick through watch faces, change calendar and email settings, block notifications from certain apps, and change other options with ease. There’s one key difference with the way Android Wear and the Apple Watch work with your iPhone, however: You’ll have to keep the Android Wear app running at all times on the phone to keep data flowing to the watch. If you’re an avid app-closer, you’ll need to remember to keep it running in the background, otherwise your smartwatch won’t be very smart at all. Unfortunately, that’s the exact same situation with Samsung’s Tizen-based Gear S3/S2 watches, as well, since they all lack the kind of direct connection enjoyed by the Apple Watch to iOS. Well, Android Wear devices tell time impeccably when linked to an iPhone, so they are definitely watches. Besides that, the biggest benefit you’ll get in day-to-day usage is likely wrist-based notifications. As on the Apple Watch, your various app and communication alerts are forwarded to the watch, letting you stay on top of things without pulling out your phone. Notifications are handled as cards: you can swipe up from the bottom of the screen to access them. Swiping up or down (or using the rotating dial, if your watch has it) lets you see the alerts from various apps on a separate screen for each, whether it’s an email, a Twitter reply, or an app notification. In the earlier version of Android Wear, one app’s notifications would all stack together, but now they list individually. That can be a hassle when you have a lot of notifications piled up and waiting for your attention. Ask the Google Assistant for things and hope for the best. 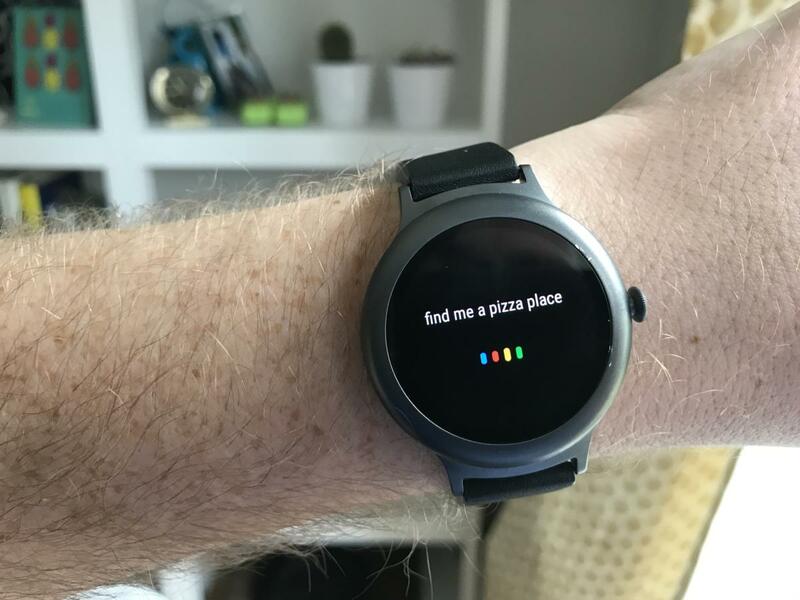 The Google Assistant is Android Wear’s solution to Siri, letting you say “OK Google” from the watch’s face screen and ask out a command. You may also access Google Assistant by pressing and holding the physical dial button on the watch. With the Assistant, you can request a web search, for example, if you need a quick fact, an image, local movie times, a sports score, or nearly anything else. Should you pull up a listing with a little phone-like icon and an arrow next to it, you can open up the full page in a browser via the Android Wear app on your phone. If you use Gmail, then you’ll be able to get richer email notifications directly on your watch. These notifications let you do more than just read and archive them—you’ll also be able to send replies, whether you speak out a response via Google Assistant, use emoji, or actually type using the watch screen. That last option is incredibly awkward just due to the size of the screen, but it’s certainly better than nothing. You never know when you might need it. The message describes my reaction to using a touch keyboard on a 1.2-inch screen. You’ll also find a handful of core functions in the form of apps, which are located by swiping left from the face screen. Many are time-centric—setting alarms, a stopwatch, or a timer, plus a world clock—but there’s also a compass, your agenda, and the super handy Translate feature that’ll help you carry international conversations on your wrist. There’s also Google Fit, which I’ll talk about in the next section. Version 2.0’s biggest addition to Android Wear is undoubtedly the ability to install apps and faces directly to the watch itself. That was one of the biggest omissions of the first rendition, as iOS apps can’t have Android Wear components—and, of course, you can’t download content from Google’s Play Store onto your iOS device. What’s a smartwatch to do in Apple’s world? Bypass your phone, of course. You can access the Play Store directly from your watch, which yes, is a bit cumbersome—but it works. You’ll need to connect your watch to a Wi-Fi network, however, since it can’t use your iPhone’s connection for Play Store access. Thankfully, you can also install apps from the Play Store website on your computer, which is a much better option than using the phone screen. It’s an honest-to-goodness app store on your wrist! It’s undoubtedly a better offering than Samsung’s Gear S3 and S2 watches with Samsung’s store. Here, you’ll find apps like Uber, Robinhood, and The Weather Channel for your watch, navigational apps like Google Maps and Citymapper, music apps Pandora and Google Play Music, and an array of fitness options—Runkeeper and Strava included. And there are various third-party watch faces in the mix, as well. When I used my LG G Watch with an iPhone a while back, the Wear 1.0 device just came with a handpicked selection of faces—but much less than you’d find when using an Android phone. 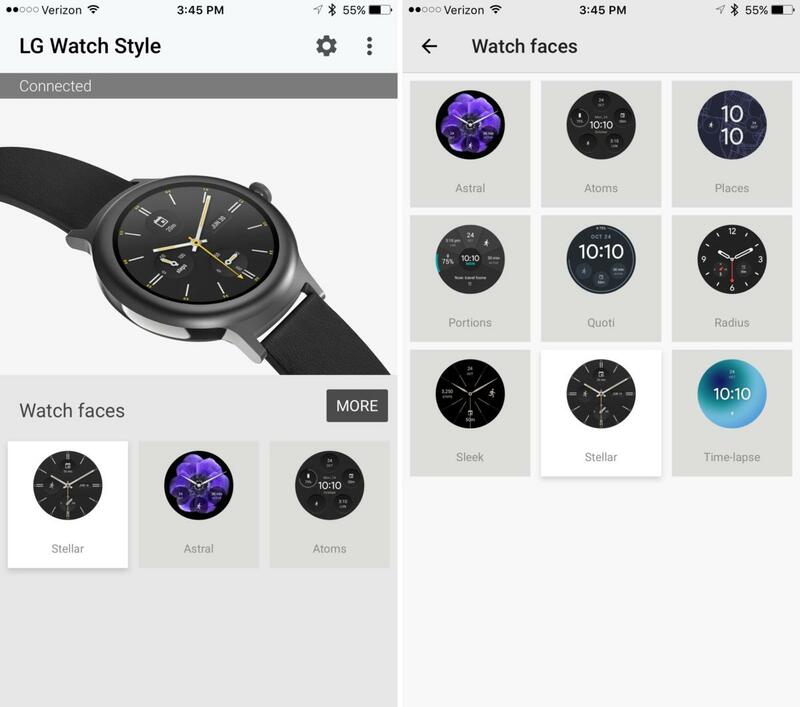 Now, there are fewer stock faces with this LG Watch Style, but many more available to download. And many are customizable with various complications, including those from third-party apps. You miss out on some pretty important features, unfortunately, although some may sting more than others based on your needs and daily routine. Notably, the Android Wear watch doesn’t integrate with the iPhone’s communication functionality—so if you read a text message on your wrist, you can’t speak out a quick reply, nor can you dictate a new message with your voice. Google Assistant just doesn’t know what to do when you ask, unlike Siri. If you get a call, you can reject it on your wrist—but that was the extent of my options with the LG Watch Style. Many Android Wear devices don’t have a speaker for two-way communication, including the Watch Style, although they all have a microphone for spoken searches and commands. But even the watches with speakers don’t let you take calls on your wrist. You’ll have to grab your phone if you want to chat. 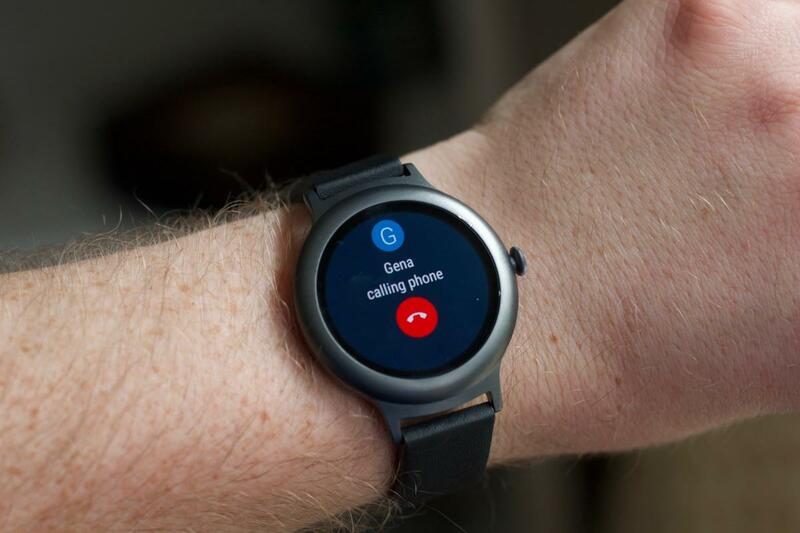 There is one exception to this rule: if you buy one of the 4G Android Wear watches with its own LTE connection—like the LG Watch Sport or Verizon Wear24, for example—then you can set up call forwarding to patch calls over to your watch. But that’s an all-or-nothing arrangement that’ll stop calls from hitting your phone until you turn it off. As for fitness, your functionality is determined by the watch. The LG Watch Style tracks my steps via Google Fit, but it doesn’t have a heart rate monitor, so that’s not available. Whatever your watch’s functionality, the Fit data doesn’t play nice with Apple’s Health, so your data won’t funnel into the native iPhone tracking app. That might be disappointing, depending on how much you already use Apple’s platform.